I hope you weren't looking for a good night's sleep later, cause this is straight up nightmare fuel. 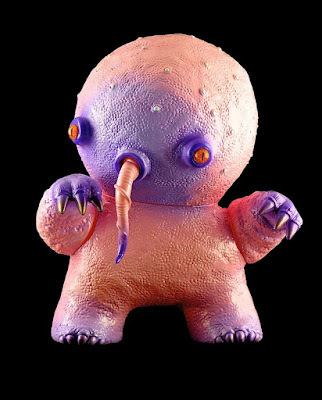 I love the work of Plaseebo, because everything he makes looks like it's ready to kill you and live off of what's left. 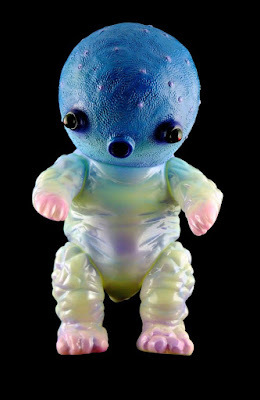 I've determined that is my favorite genre of toy, right up there with "so cute I could vomit glitter" and "looks like a murder weapon from True Detective." My tastes are very specific. 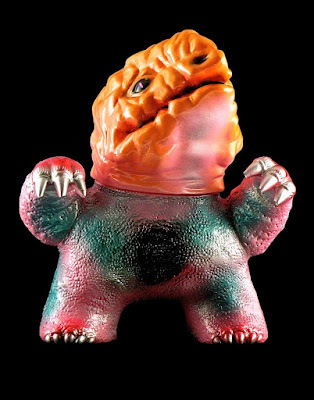 Plaseebo has teamed up once again with Gorgoloid for three special Night Gamers that will be available tomorrow, Friday the 24th, over at www.plaseebo.net. If I bought one I would probably lock it in a safe when I went to sleep, you know, just in case.